Much is on my heart this morning, but words seem to fail me. 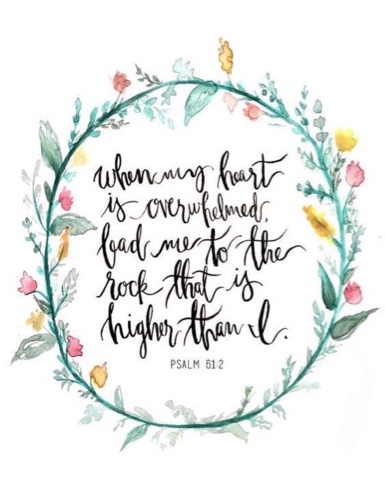 I will cling to that Rock, that is much higher than I.
I will do my best to praise Him and trust that His ways are always best. I will continue to follow where He leads. If you are going through struggles this morning, may this be an encouragement to your heart as well.